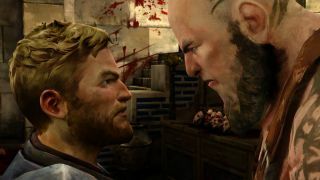 A Nest of Vipers, the penultimate chapter in Telltale's six-part Game of Thrones adventure series, is almost upon us. Are you looking forward to a happy ending? Teasers like this tend to hit a game's high points, although what qualifies as a "high point" in the context of Game of Thrones is open to debate. A "walk with me" moment with Ramsay Bolton? Not something that would rank very high on any list of mine, except maybe the list of "Things I'd Rather Do Anything But." Game of Thrones: Nest of Vipers, which follows the continuing adventures of five members of House Forrester as they struggle to save their House from annihilation, will be out on July 21.